They were New Wave, dreamy electro, and coldwave yet completely accessible. 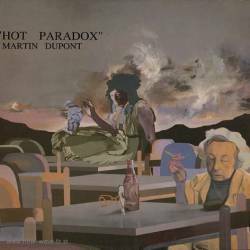 Originally from Marseilles, Martin Dupont formed in 1981 and went on to release a single, a cassette, several albums, and played several live shows, supporting big acts such as Siouxsie & the Banshees and countless others. The group consisted of Alain Seghir, Brigitte Balian and Beverley Jane Crew, with Catherine Loy in the original line-up. Their music style was classified as minimal synth mixing both male and female vocals.